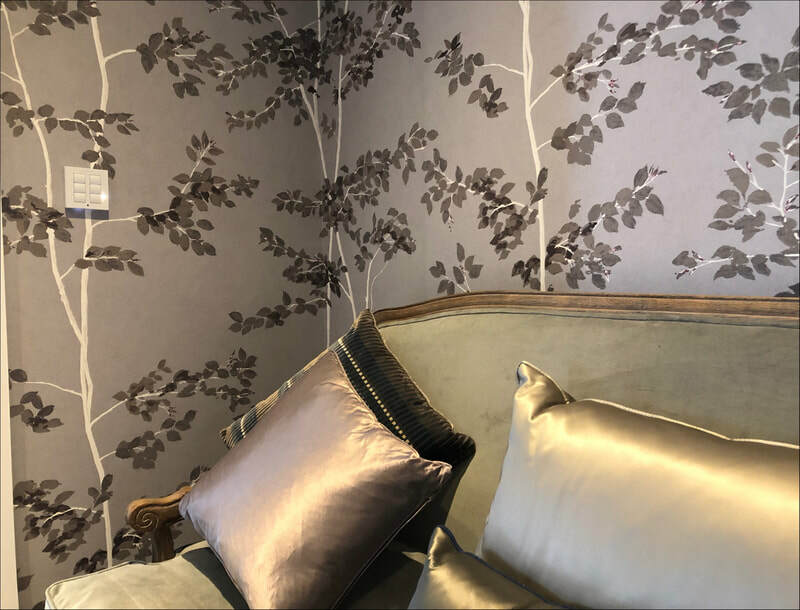 London Home - 2018 - Complete integration of Audio, Lighting, Control and Video distribution around the house. 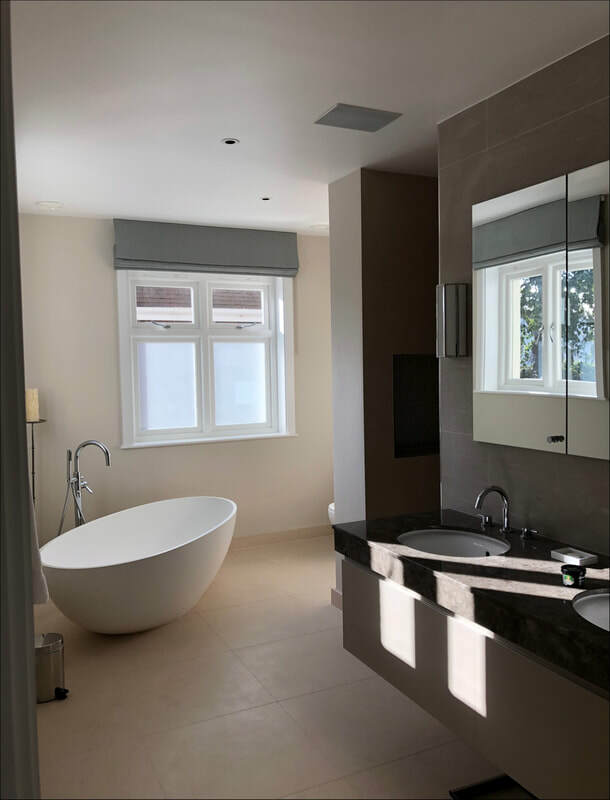 Working together with Marcus Beale architects this Wimbledon project took 9 months to complete. 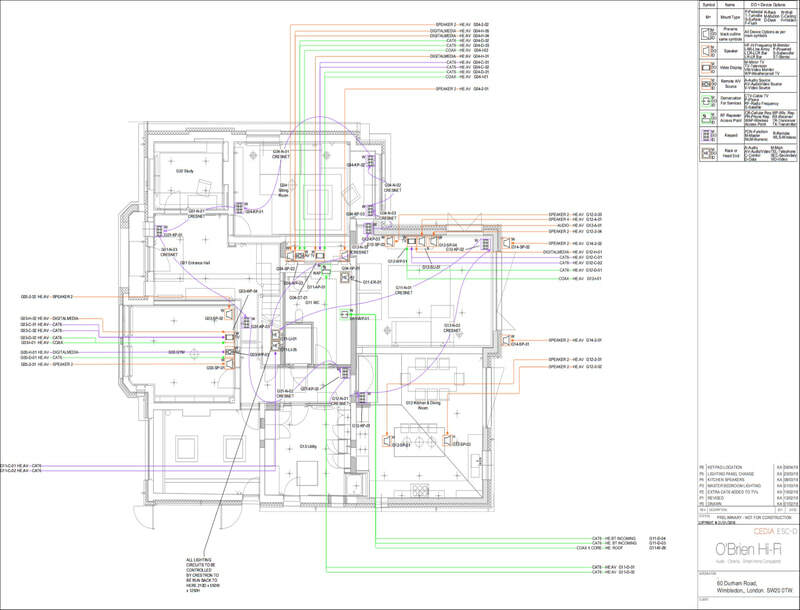 Full schematics were drawn up by our design team to integrate with the architects design plans. 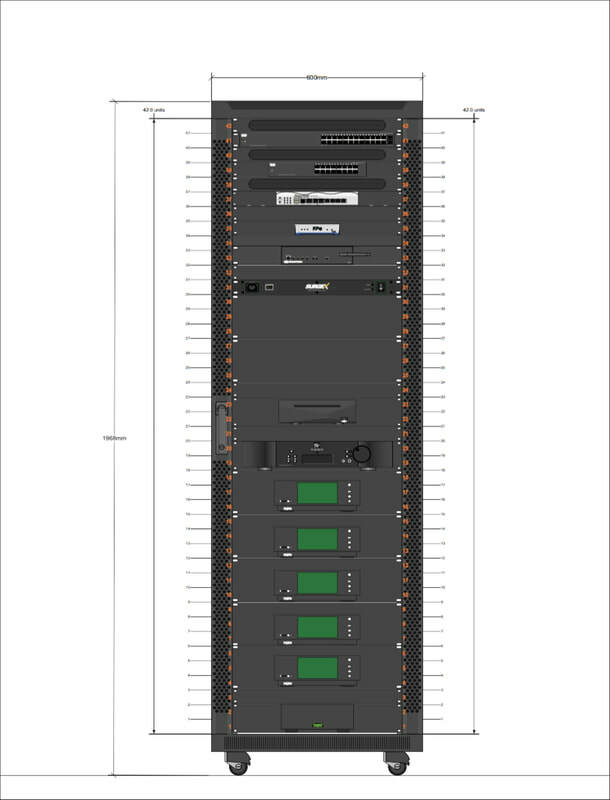 There are 5 audio zones and 4 zones of HD video distribution all controlled by Crestron. The audio system uses Naim and Moon amplification with a combination of Sonus Faber and Totem Loudspeakers, all operated either by simple hand held remote controls or iPad / iPhone app. The video sources can be watched in any room in full HD quality either simultaneously or independently. 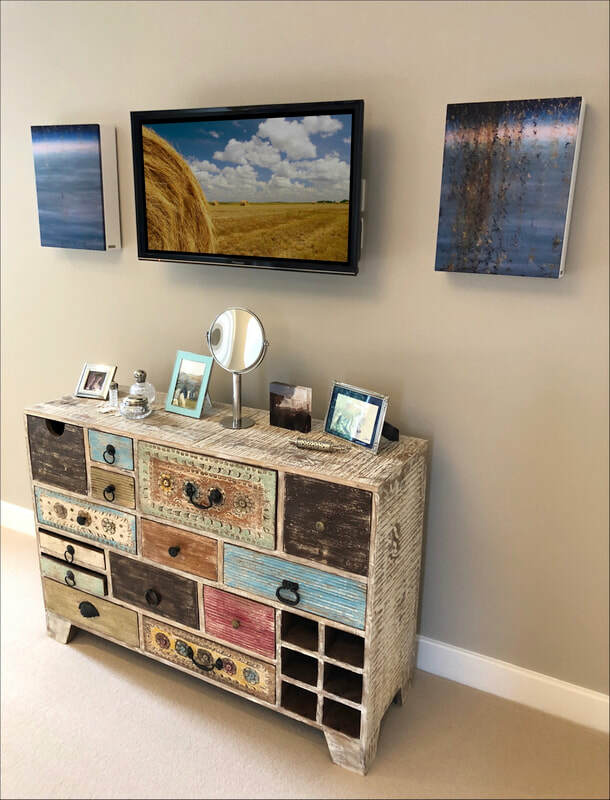 The music systems delivers superb sound quality from a Music server holding the client's collection of CDs as well as internet radio, Tidal & Spotify. 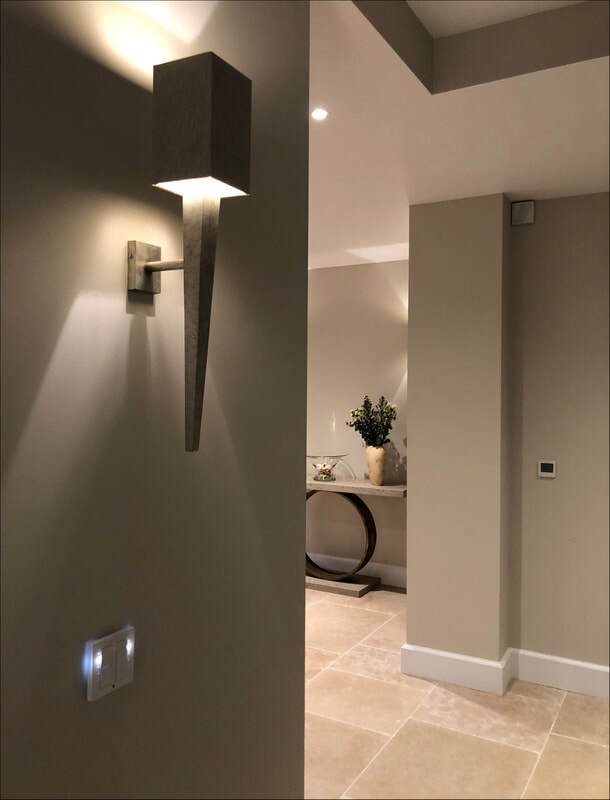 Orluna LED light fittings are used throughout controlled by a sophisticated Crestron Lighting Panel running PYNG to create a wonderfully warm, rich interior. 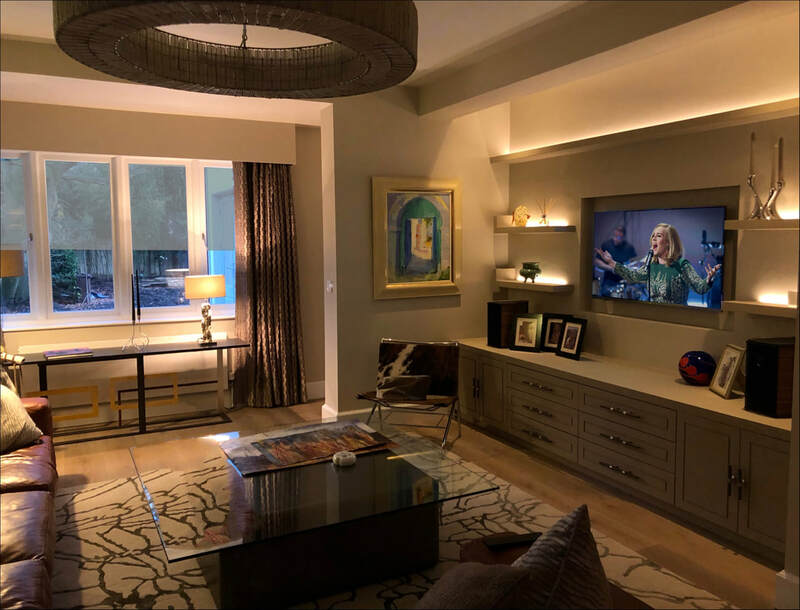 The lighting system is operated by simple 6 button keypads, offering choice of lighting scenes as well as full house control. 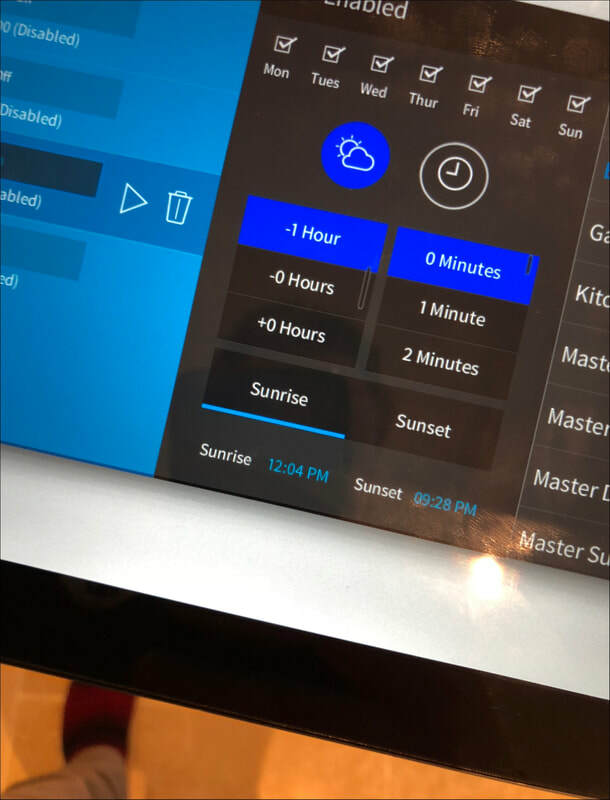 The external lighting is automatically triggered by the Crestron system following sunrise and sunset as this changes throughout the year. 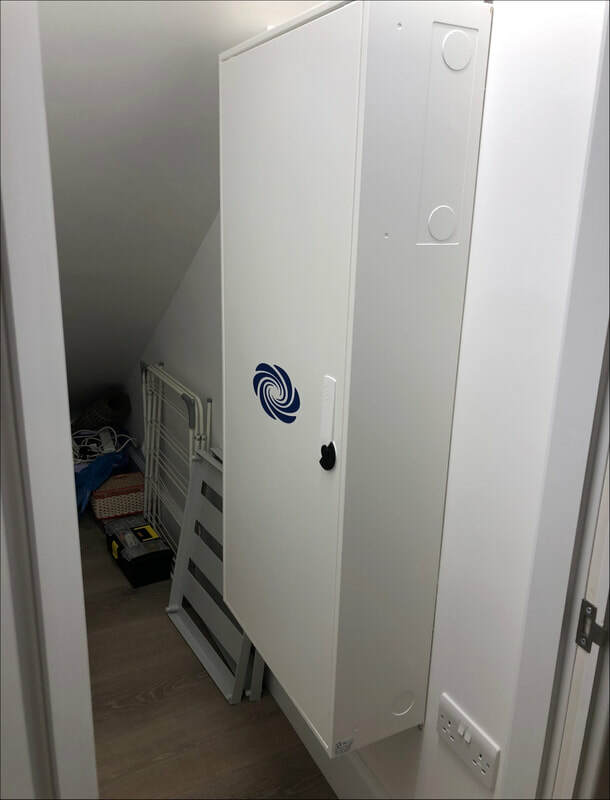 All equipment is housed in a central rack in the downstairs utility space including, the Cisco network switches which distribute high speed fibre broadband around the property. Wireless access pints are deployed on each floor, to allow Wi Fi devices to roam the house seamlessly whilst enjoying perfect connectivity.